Kamen Rider Ex-aid (October 2, 2016 - TBA) is currently airing in Japan, and as such, there's still quite a bit to be seen about the deeper plot and themes of it. But, what we do have so far is absolutely fantastic. Following a pediatric intern named Houjou Emu, he discovers a secret department of the hospital he works in called the Computer Research department, or CR for short. They fight off a virus infecting humanity known as the Bugster virus, which is created and spread via video games. Our main character, Hojo Emu. Thankfully, he remains this happy through most of the series. The part that gets most people interested in Ex-aid is the video game theme. Unfortunately, it's not real-life video games (though movie tie-in toys tend to break that rule), but the Riders have powers based on genres of video games - our main three are platformers, RPGs, and shooters. We see a plethora of other power sets, as well. Sports games, racing games, even Monster Hunter-style cooperative games are represented. It's interesting to see what Japan views as the most important genres of games. The ten Gashats, or game cartridges, in the series. The other big thing that I've started picking up on, which I'll be able to go into more detail with when the series ends, is how the virus is propagated. The Bugster virus feeds on, and is empowered by, stress and anxiety. The monsters of the week try to stress out their hosts enough to give them a physical form. Thus, the doctors of CR have to not only transform to fight the monster, but find out what is causing the stress in the first place, so that they can isolate and remove the Bugster from the human body. It's all really fascinating and well-executed. And with that, the first incarnation of BEYOND THE BUGMEN is complete. After some introspection, I'm going to go back and change the name to OVERVIEW instead of Analysis - these didn't get as in-depth as I wanted to go. I might go back and talk about some other Rider series later on down the line, but for now, what topic do you guys think I should cover next? Let me know in the comments below. Okay, honesty time. Kamen Rider Ghost (October 4, 2015 - September 25, 2016) is the only recent Kamen Rider series I have NOT finished. I got about twenty episodes in when it was airing, and fell off of my watching schedule. I've heard of what happens, though, and I...am honestly a little unimpressed. It's a shame, too: just like Wizard, the designs for Ghost are fantastic. I mean, look at this! It's even based on a firefly, which represent the souls of lost soldiers in Japan. Personal feelings aside, I'll at least contribute what I can to talk about Ghost. 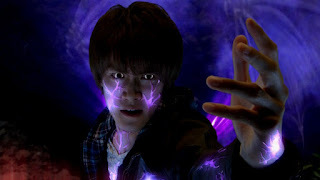 The series follows Takeru Tenkuji, an eighteen year old who wishes to become a ghost hunter like his father before him. Within the first few minutes of the first episode, we see his temple attacked by the Ganma, a race of spirits that invade this world. To defend the temple and the ones he cares for, he confronts the Ganma, and loses. 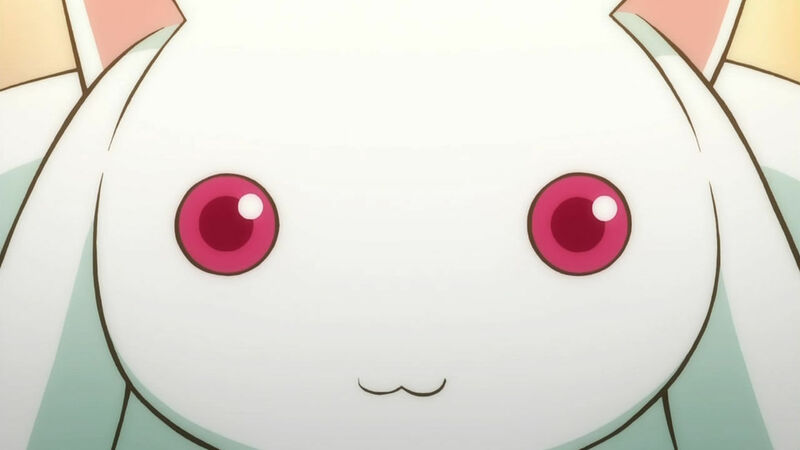 He is killed in the first ten minutes of the first episode (this becomes a thing). Another spirit brings him back to life as a ghost, giving him 99 days to retrieve fifteen souls of "luminary figures". This seems to be a blanket term for various historical figures of significance, from Musashi and Beethoven to Edison and Billy the Kid. Being that I have not finished the series, a lot of my analysis is going to be based on the initial story arcs and character development. The major thing that seems to be prevalent at first is a sense of science versus religion. Takeru uses the Ghost Driver and is essentially between the two, but he has two friends that help in his quest: Akari, a brilliant scientist, and Onari, the head monk at the temple he lives at. They are often at odds (again, from what I have seen) about whether the solution to the Ganma problem is based in science, or in spirituality. They do begin to adapt to each other's ways of thinking, however - Akari can believe spirits exist, and Onari learns to let science and gadgets take over when meditation and prayer cannot. Apologies for the lateness of this segment, and for how brief it is, but I couldn't get into Ghost nearly as much as other Rider series. Next week will be the conclusion of the main part of our series, with the currently-airing series, Kamen Rider Ex-aid. Have ideas for what I should cover next? Leave them in the comments. I will preface today's article about Kamen Rider Drive (October 5, 2014-September 27, 2015) by saying that it is CURRENTLY my number one favorite Kamen Rider series. It was also the first one that I watched as it came out, week by week (when Charles was in Japan, he actually saw one of the last episodes live, and accidentally spoiled part of the fight by describing it!). I'm not really sure what makes me love it so much, but I do. Tomari Shinnosuke is our main hero, a detective whose partner was injured after the Global Freeze Incident, where monsters known as the Roidmude slowed down the entire world. This caused a shot that Shinnosuke took at one of the monsters to hit a gas tank near his partner. We find him six months after, lazy and unwilling to do much of anything. But, when strange things start to occur, his brain shifts into top gear, and he takes on the case. I think what really solidified Drive as my current favorite series is the detective aspect - anyone who knows me well enough knows my all-time favorite game series is Phoenix Wright. Yes, W was a detective story as well, but we saw far less actual detective work in that one. In Drive, Shinnosuke spends most of his non-costumed time following clues, questioning witnesses and bystanders near a crime scene, all to determine the motives of the Roidmude. And just what are the Roidmude, anyway? Here's a few, as an example. 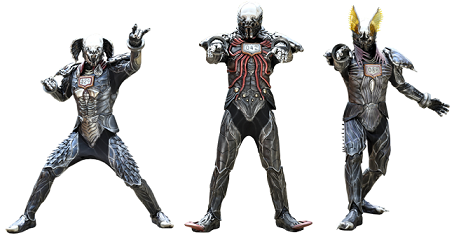 The Roidmude are mechanical lifeforms, who are able to slow time in their vicinity, steal the likenesses of human beings, and generally wreak havoc. There is a major question that gets brought up later in the series, however - when do the Roidmude stop being Roidmude, and are considered human? Some events occur that bring this sort of thing into question, which mirrors many conversations happening in our world right now. Where is the line between human and machine, if the machine looks, acts, and feels like a human? Being one of the most technologically-advanced countries in the world, Japan will have to address these questions sooner than many of us. For now, we have Kamen Rider Drive to give us plenty of food for thought, as well as a fantastic detective story to wrap it all up in. 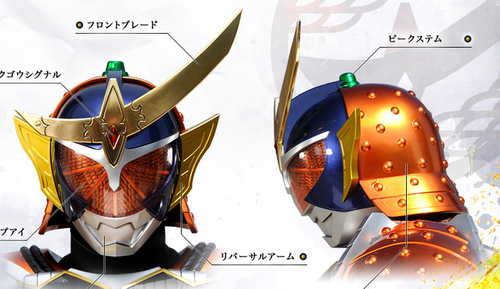 What to say about Kamen Rider Gaim (October 6, 2013 - September 28, 2014)? Well, to start with...as I alluded last week, this is another Rider series worked on by an anime director - Gen Urobuchi, most well-known for Puella Magi Madoka Magica. Like that series, Gaim suberts and inverts various Kamen Rider tropes, such as having little to no monsters to fight the Riders with. 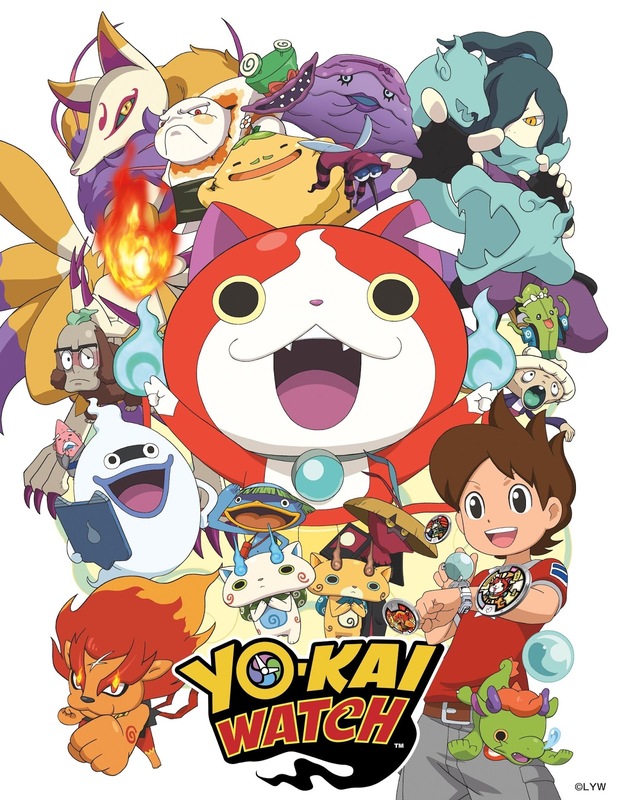 Instead, the series follows Kouta Kazuraba, among various other Beat Riders as they're called, who compete in a televised dance-battle competition in Zawame City. The dance teams compete for stages throughout the city, and if a stage comes into conflict, they fight with small monsters called Inves. Sounds a LOT more like a certain other popular Japanese property, doesn't it? TOTALLY what came to mind first. Like any series done by Urobuchi (or Urobutcher as some English fans call him), the series is rife with confusion and misinformation (seriously, watch episode 11 of Gaim, it is MESSED UP). Zawame City is built around the headquarters of the Yggdrasil Corporation, who also sponsor the Beat Riders competition...and manufactured the Sengoku Driver...nothing bad can come of this, right? Well, eventually stuff DOES go down, but unlike with some other Kamen Rider series, I can't talk much more about even the beginning of the series without giving a lot away. Let's just say that there's a lot of religious parallels throughout the series. This is their version of the Garden of Eden. Yeah. The other big comparison between Gaim and Japanese culture is the whole Beat Riders competition in the first place. The teams are fighting for territory and acclaim, eventually by doing away with the dancing and just sending their own Kamen Riders after each other to claim territory. All of this centered around a huge central tower...and the henshin device itself gives us the last piece. 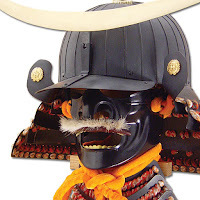 The majority of the series is a takeoff of the Warring States era of Japanese history, down to some of the helmets of the Riders looking quite a bit like the historical figures' armor. Our main hero's helmet, side by side with Date Masamune's helmet. 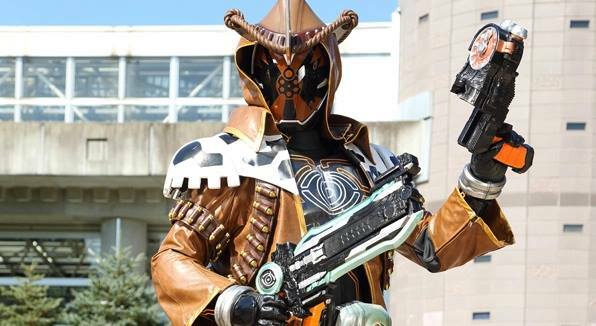 Kamen Rider Wizard (September 2, 2012 -September 29, 2013) has always had one of the best designs of the past few years of Kamen Rider, in my personal opinion – I mean, just look at that coat! But, we're not here to talk about the design of the suits. Wizard takes place in a world where a solar eclipse welcomed demons known as Phantoms into the world – these Phantoms are released when a human falls into despair, usually illustrated as something that is “holding up their heart” being shattered (in the first episode, a locket with a character's father in it is literally shattered, which makes her fall into despair). Haruto Soma, a man who held in the Phantom inside him and received magical powers in return, fights to stop the Phantoms from causing despair, becoming the world's “final hope”. Seriously, look at that design. One of the coolest out there. Wizard follows immediately after Fourze, which as we all remember, was a very lighthearted series to counteract the Tohoku disaster that was happening at the same time as Fourze's writing. When this series was being conceived, it was now a year after the disaster struck Japan. Families were still struggling to return to normalcy, and many in the more heavily-affected areas were permanently displaced. I believe Wizard was written with that in mind – the Phantoms represent the dread and fear of the disaster's aftermath, ever-present and still dwelling within people's hearts. Haruto, and by extension, Wizard, is the team behind the show attempting to quell the fear in viewers' hearts. 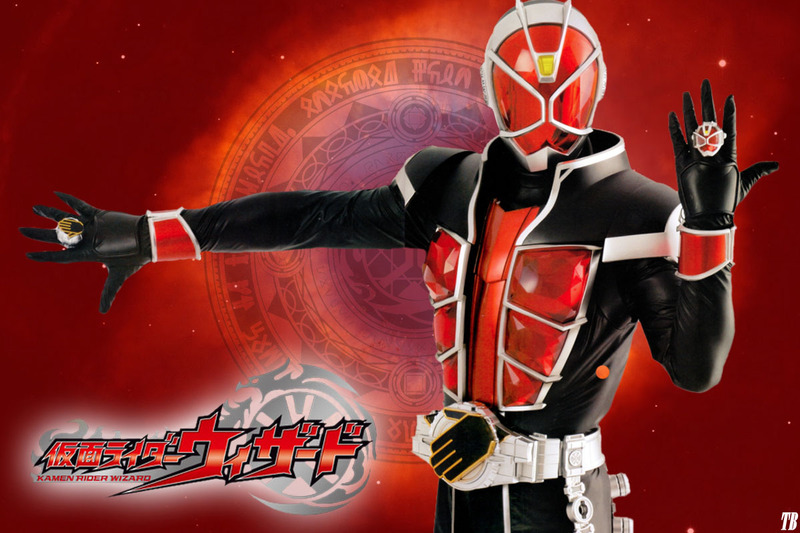 Haruto is able to turn despair into hope, and save people from having their hearts shattered. Haruto about to fall into despair. The effects on this show were INSANE. I promise there's no contract to read next week's article...yet.